You are currently browsing the archives for the tag 'Revitalizing Smoothing Shampoo'. 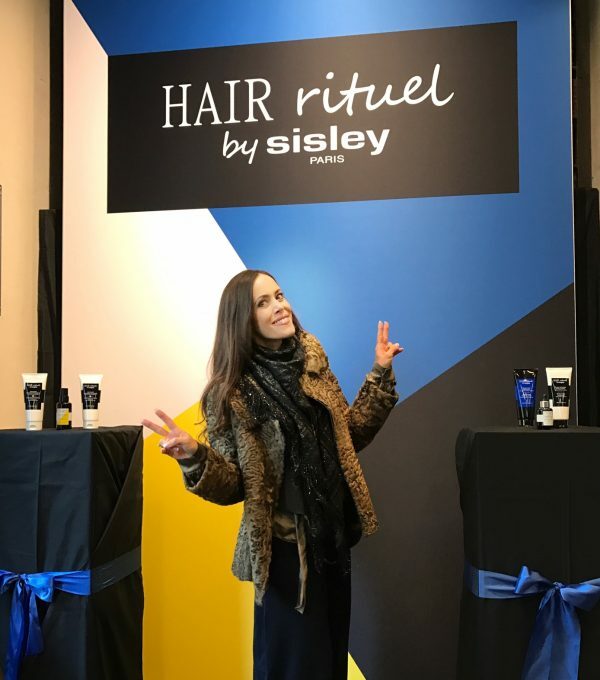 Last week, I was invited to explore the new brand HAIR RITUEL by SISLEY PARIS and I have absolutely fallen in love with it! 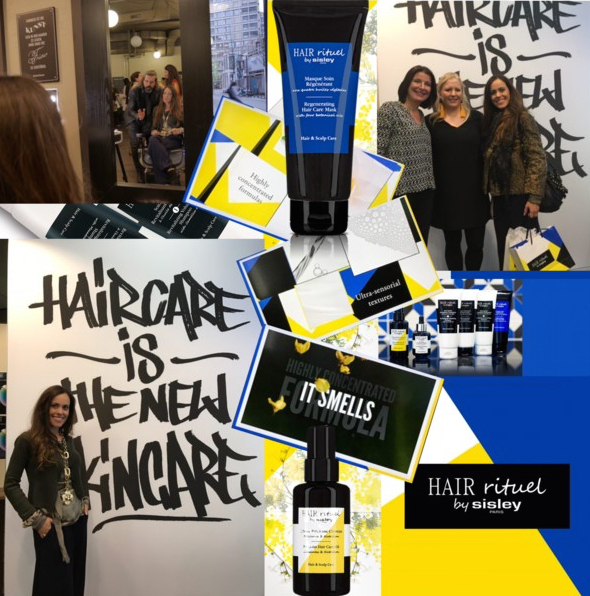 The Swiss team of SISLEY PARIS had invited hair stylist Rolf Baettig and his Intercoiffure crew from St. Gallen and Romanshorn to explain and show us the new products more in details. Moreover, I was treated to my own experience and trust me, those products are absolutely amazing, easy to handle and great for your hair! Let me tell you a little more about the concept. 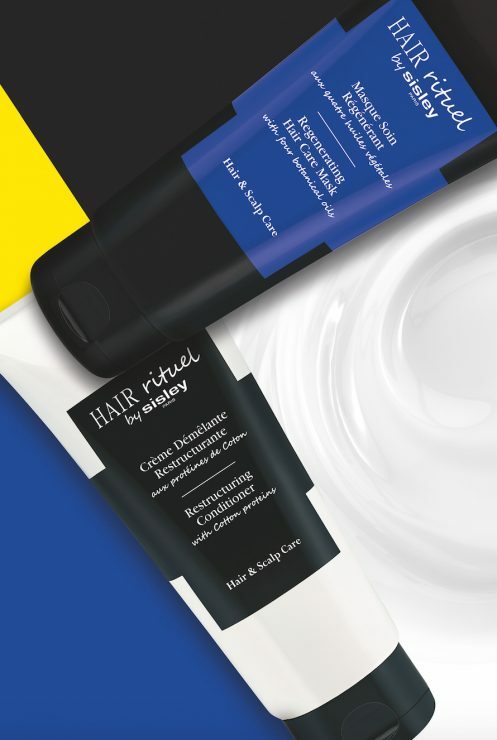 Backed by a unique, forty-year history of expertise in skincare, Sisley Research is now extending its know-how to hair care with six essential treatment products creating a complete, sensorial beauty ritual intended for both women and men. 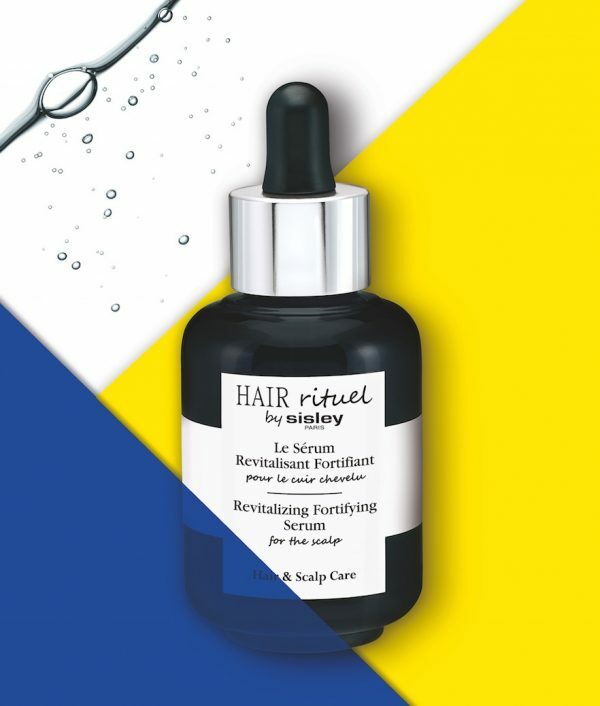 Formulated with high concentrations of powerful plant-based active ingredients as we know them from the brand’s facial and body care, HAIR RITUEL by SISLEY PARIS hair care products act on both the scalp and the hair fibre to provide global action. This volumizing shampoo is formulated to give you fuller locks and improve density over time by targeting each hair bulb and fiber. Sulfate-free, it’s enriched with Camellia oil to gently cleanse while enriching the scalp with essential vitamins and minerals to leave your tresses shinier and instantly thicker. Perfect for dry or damaged hair, the revitalizing smoothing shampoo is formulated with vitamins and minerals to restore your tresses to shiny and vibrant health. The Shea, Moringa and Macadamia Oil nourish and soften while Cotton Proteins rebuild ends to stop further breakage. The light fragrance provides a refreshing experience as you cleanse. As well as smoothing cuticles and detangling strands, the brand’s new conditioner is a little like a supplement for your locks. Cotton Proteins and Ceramide-like actives rebuild each follicle’s protein and lipid structures at a cellular level, while pro-Vitamin B5 stimulates growth for thickness and length. The result is nourished hair that’s made naturally stronger and glossier from within. The mask is devine! Designed to intensely nourish damaged hair, it is enriched with a fortifying blend of Shea, Macadamia, Camellia and Hazelnut oils to hydrate and strengthen each strand from the root, it’s packed with restorative plant-based proteins and vitamins that leave your mane feeling soft and replenished. This hair oil is designed to be applied to the mid-lengths and ends of damp or dry hair to give it a last-minute dose of glossiness and hydration. It’s uniquely formulated with a blend of Passion Fruit, Shea, Cotton and Moringa Oils that smooth the cuticles, limit dehydration and create a weightless, protective film around each fiber. An indispensable finishing touch to your routine, it will make locks feel healthy and radiant. If you want to tackle frizzy or lackluster hair, this serum is the answer. Enriched with plant-based extracts, proteins, vitamins and minerals, this light and non-greasy formula gets to work starting from your scalp by encouraging growth and promoting strength, whilst protecting your natural color (like in my favorite Sisley mascara «So Intense»). It can be applied as little or as much as needed, so for a more intense treatment try a few drops every other day. Rolf Baettig applied the Revitalising Fortifying Serum that also gave me volume. 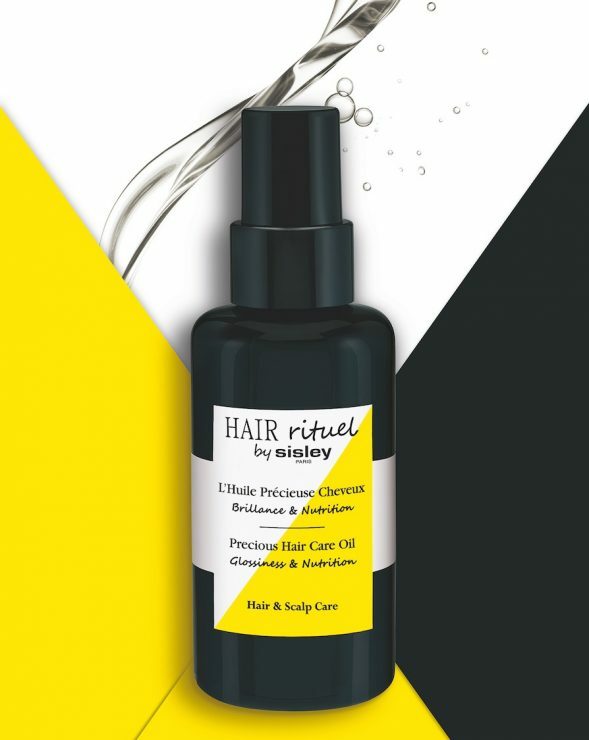 HAIR RITUEL by SISLEY PARIS is available in Switzerland now at Jelmoli and Globus as well as selected perfumeries and hair salons. 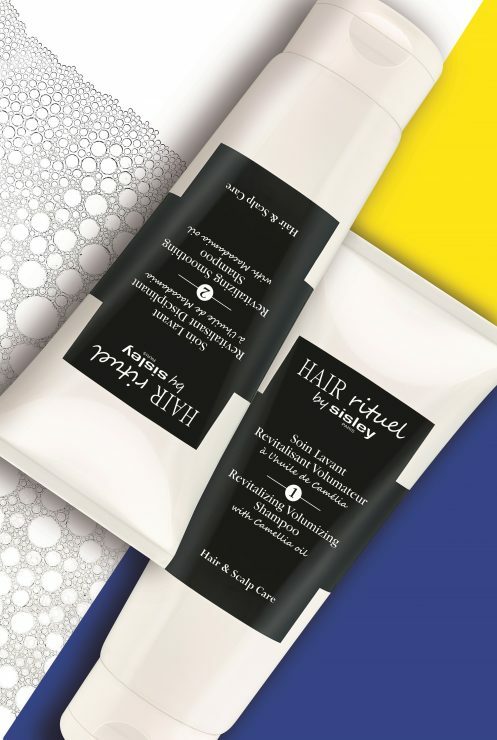 TO SHOP THE NEW HAIR RITUEL BY SISLEY PARIS ONLINE, CLICK HERE PLEASE.